Have you always considered invoice factoring to be the last resort answer for cash flow problems? A form of financing you would not consider unless you were about to fail? Accounts receivable factoring is an excellent funding source for large businesses wanting to receive quick payment on outstanding invoices, as well as new and rapidly growing businesses that are organized and understand their sales cycle. 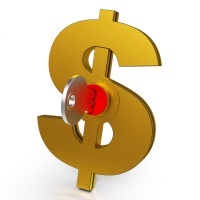 A clear understanding of company profit margins – can you pay your bills! A factoring company must establish that those businesses looking for financing are serious, understand how to follow the law and do not take short cuts when it comes to the rules and regulations. Struggling companies who have declining sales, with no grip on their cash flow, and are looking for an alternative solution when traditional forms of financing have turned them down, will not be good candidates for loans on receivables. Factoring is a great financing tool for legitimate companies who are starting out but as yet have little to no credit history. Invoice factoring is based on the credit history of your customers, but this does not mean the general health of your company is not taken into account. The more stable your company, the better the rates from the factor. However, temporary set backs will not necessarily limit your ability to factor your accounts receivable if the factor believes in the management of the company and sees potential for growth, with a solid recovery strategy, and a strong customer base. Remember, like all serious and viable financing tools, factoring still has costs attached. However, if factoring your invoices can help make you more money by allowing you to take on more business then in many cases it pays for itself. If your net profit margin is greater than the discount rate you receive from factoring, the increase in business generated from accounts receivable loans will produce an increase in profit. Accounts receivable financing is a serious financing tool offering proven solutions for proven businesses that can help in cases where traditional financing may not be readily available, but this does not make it the last resort answer! A word of caution: not all invoice factoring companies are the same. Just as some receivable financing companies will not consider companies that are not transparent, make sure the company you pick to factor your invoices is reliable and will take care of you also.